All SUMMERFIELD PLACE LOT 1-9 homes currently listed for sale in Gilbert as of 04/22/2019 are shown below. You can change the search criteria at any time by pressing the 'Change Search' button below. "Great Location - Close to the amenities of downtown Gilbert - entertainment, and restaurants. Not far from the 60 & 202 freeways, Freestone Park and so much more. 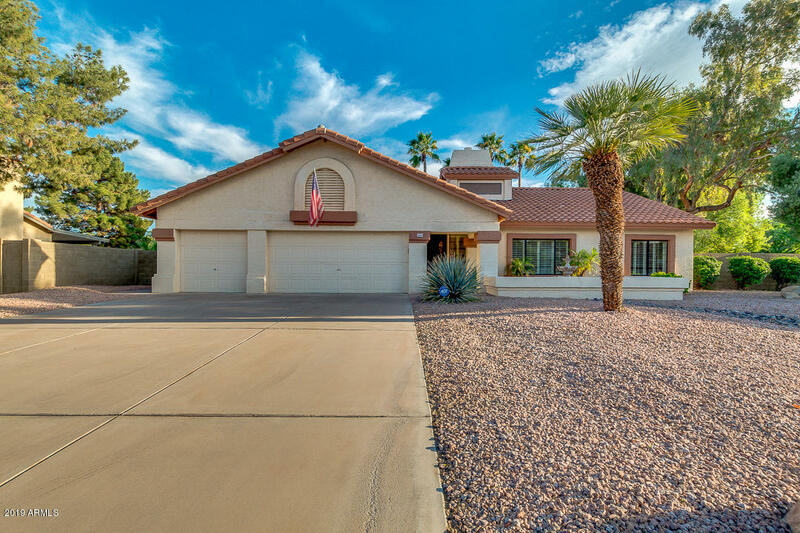 This home features a fantastic open floor plan on a large lot that is on a cul-de-sac, a 3 car garage & a pool. As you enter the home, you'll feel it's spacious feeling and see the two way fireplace enhanced by the vaulted ceilings. You will enjoy the updated kitchen complete with granite countertops and upgraded cabinets. Shutters thr"